Dinner plates aren't the only places you'll see fish. You hang your prize catches on the wall. There are neckties that look like fish, mailboxes in the shape of a large mouth bass, even fish that sing silly songs. 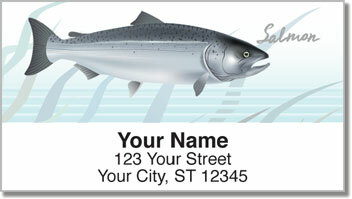 Here's another fun novelty for fishermen - stylish self-adhesive address labels. 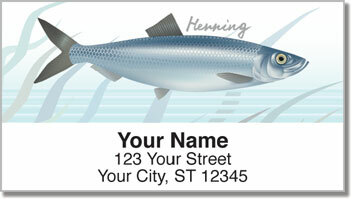 We've featured four of the most famous fish from the sea - the tuna, herring, mackerel and salmon. Stick them on all your outgoing mail for a unique look that also saves you time and hassle. 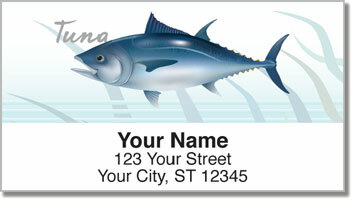 No more scribbling out your return address - just peel and place! 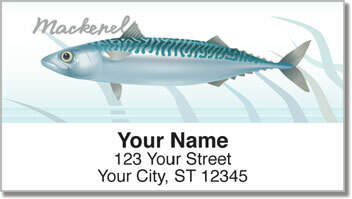 Get your very own Ocean Fish Address Labels from CheckAdvantage now. Matching checks are also available with free shipping.